Add CSS3 Notification Boxes Using Shortcodes In Blogger | BloggersStand ';-1!=b.indexOf("img.youtube.com")&&(a=' ');d=a+''+p+''+titlex+"
In this tutorial i'm going to explain how to create Blogger notication/Message boxe using css3 Shortcodes.These shortcodes helps you to insert a Responsive Notifications/Message box anywhere on your blog/Website with a single line of code.In this shortcode we have also used the Fontawesome which gives a creative touch to the boxes.When you use these box you just need to give a title or message and your users can see important announcements! The message boxes are responsive "Auto Adjusts to Any Screen Size".Each box has a different color and different fontawesome icons.Most important thing is that in this css3 shortcode trick we have used the easiest way for message box,Look below for examples. We are Going to create most popular message/notifications box using Shortcode for blogger. 4 Paste the following code just above it. 4 Paste the following CSS code just above it. How to use these shortcodes? 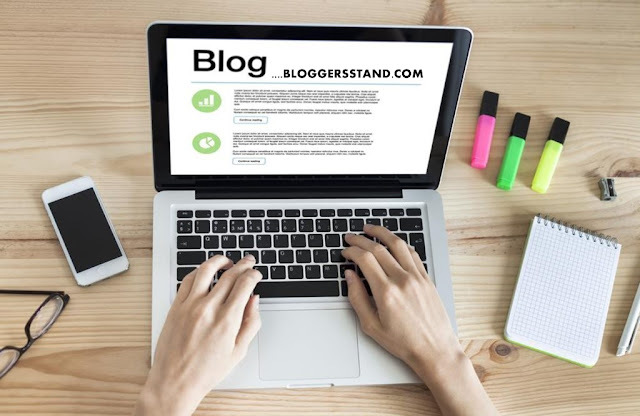 Its very simple,when you create a new post,you just need to copy any box code and paste in your page and add your Message,Links,Series,Updates,Warning,Announcements,Infomation,Alert,Notice. Change "Add Your Message Here" with your Custom Message. Let me know if you needed any assistance. 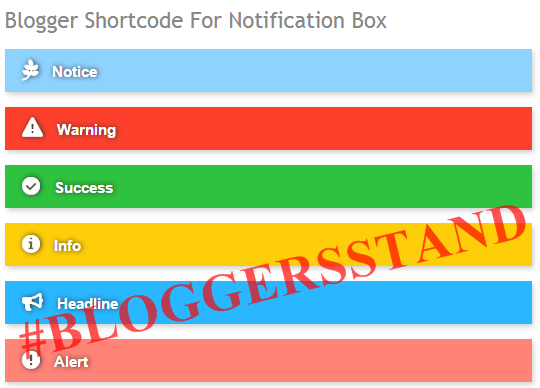 0 Comments on "Add CSS3 Notification Boxes Using Shortcodes In Blogger" So Far - Post Yours!